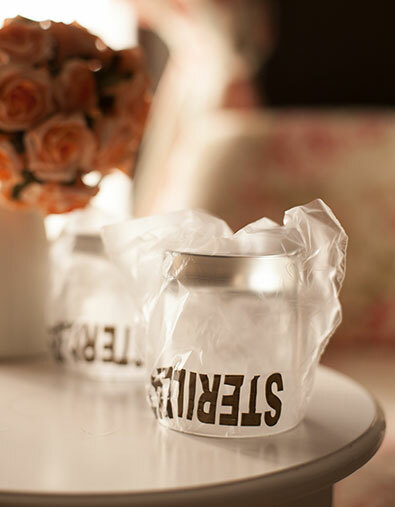 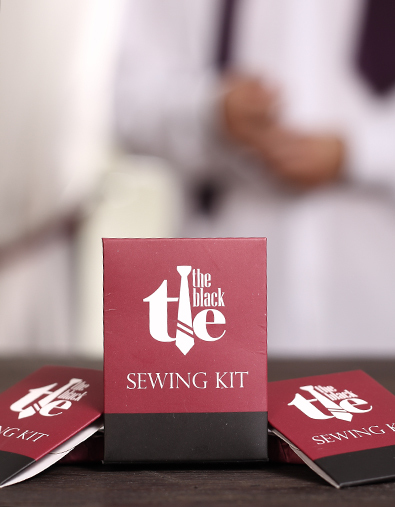 Offer your guests the possibility to make a quick repair, such as on a pair of trousers that have unexpectedly come undone, and let them breathe easy knowing that they even have the right color thread. 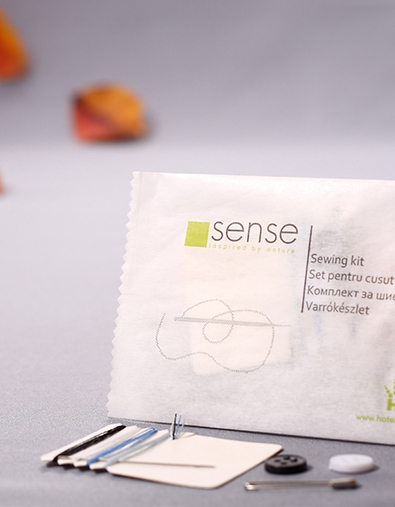 The hotel sewing kit has 6 thread colors , sewing needle, buttons and safety pin. 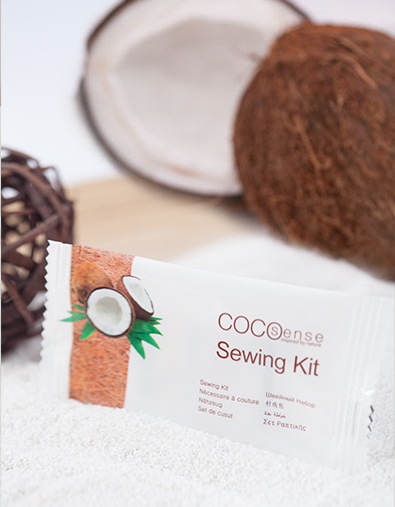 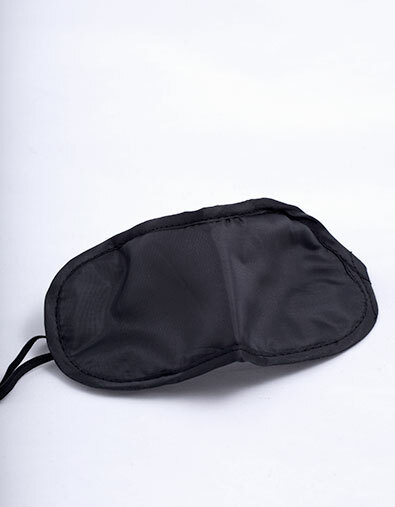 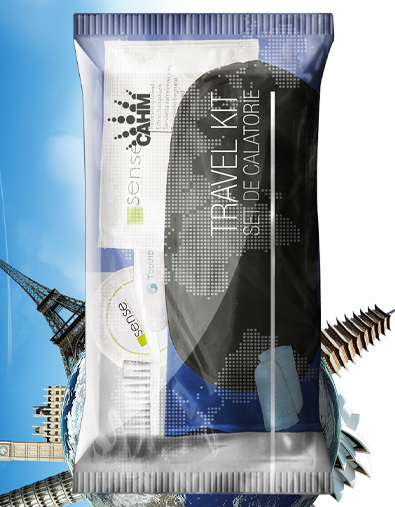 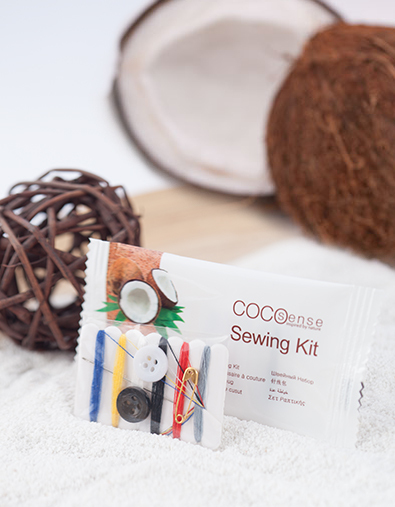 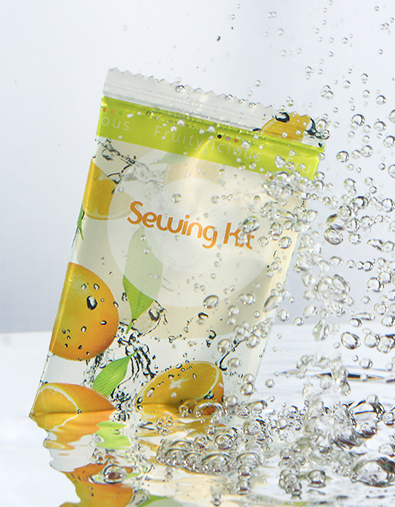 Furthermore, the Cocosense hotel sewing kit will surprise your guests with an unexpected detail. 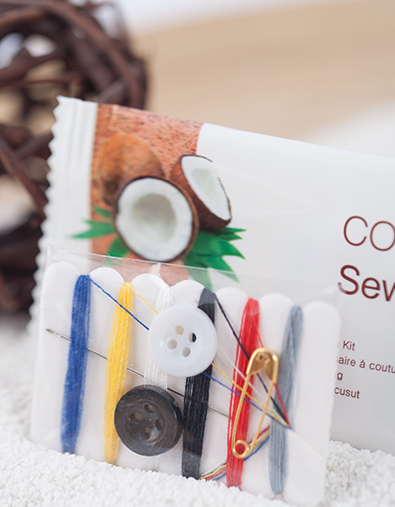 It has a pleasant Coconut scent, same as all products from the Cocosense line. 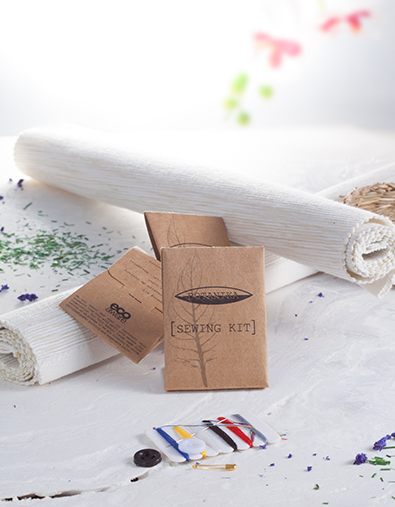 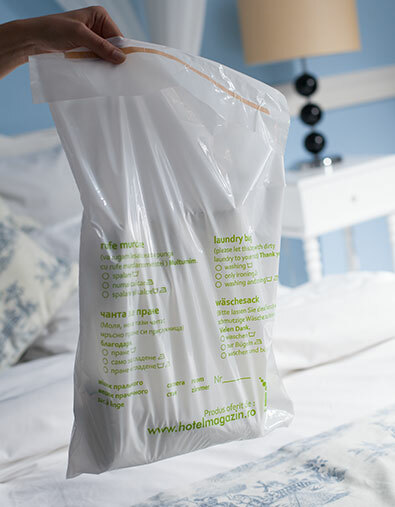 Wrapping paper with rock extract, vegetable oils used for print.